The killer app on Android was the predictive keyboard, SwiftKey. A lack of SwiftKey on iOS was almost enough to keep me from jumping off of the Android bandwagon (but Android’s terrible carrier-driven software update process became too annoying). 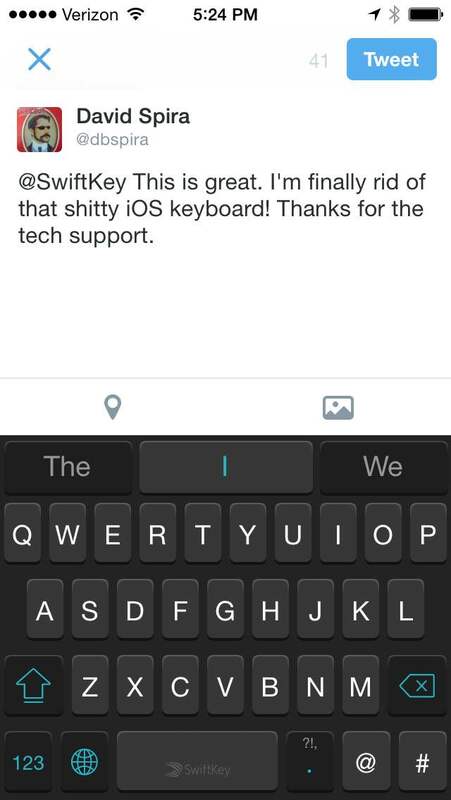 Thankfully, with iOS8’s added support of third party keyboards, SwiftKey is no longer an Android exclusive. SwiftKey is an alternative digital keyboard for your phone. It doesn’t look too special. It just happens to have a keyboard that is brilliantly designed for ease of use. 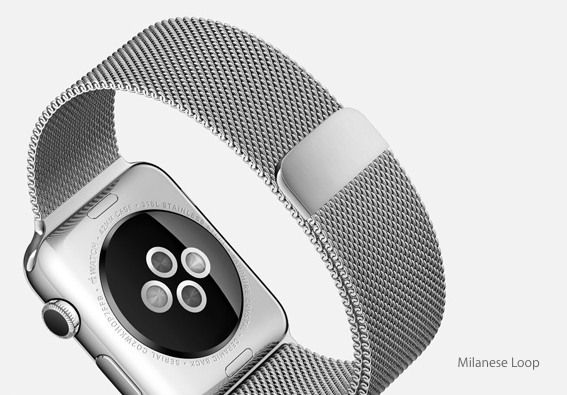 It’s awesome predictive language system learns from what you type. If you use it regularly, it get scary good at predicting your language patters. I don’t know how well their predictive system will work, but I don’t care. I don’t recall ever using the word “stunning” to describe a mobile app. 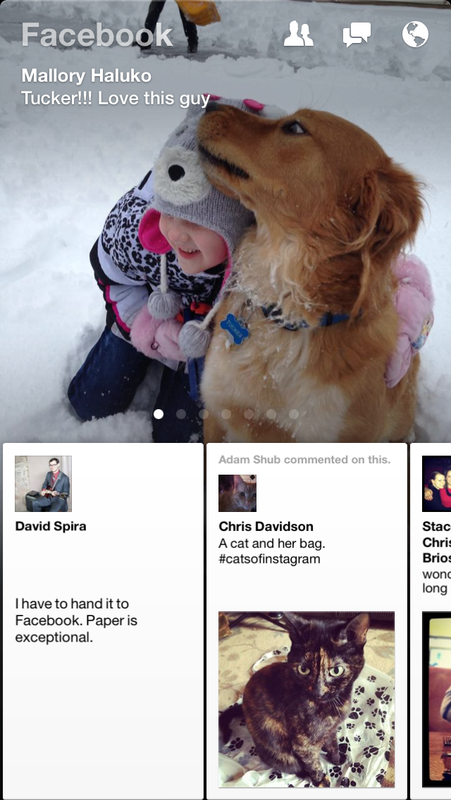 Facebook’s new alternative app Paper is the first one that has left me stunned. It’s just pretty. Really pretty. And easy to used. And fun. The only big flaw (barring some bugs that I am sure they will squish with updates) is that it makes Facebook.com feel ancient, stodgy and boring. Granted Facebook has never been a beauty, but the juxtaposition between Facebook.com and Paper is pretty shocking. I hope we can expect to see more of this kind of design work from them in the future. For a company whose mobile application was the model for mediocrity a couple of years ago Facebook has done something special here. I strongly recommend you try it out if you have an iOS device.